Perspective Tilers Adelaide are a skilled and professional group of tilers based in Adelaide. We are Adelaide tiling specialists! Fully licensed and qualified tilers. If you’re looking for good tilers in Adelaide, go no further than Perspective Tiling! We are the very best Bathroom Tilers Adelaide has to offer! Perspective Tiling offer complete Adelaide bathroom renovations. Customer satisfaction is our key to success! Perspective Tiling takes pride in every tiling job that we do as our reputation is important to us. Perspective Tiling are the tilers to call for all your tiling needs in Adelaide. Perspective tiling have been working throughout the Adelaide tiling community for over 15 years. With plenty of experience and satisfied customers our reputation is growing. Wether it be complete bathroom renovations in Adelaide, living room floor tiling, kitchen splash back, glass splash back, laundry tiling, toilets, alfresco or balcony areas you need tiled. Perspective Tiling will cater for all of your tiling needs. Your bathroom is one of the most important parts of your home. It is important that your bathroom is well-managed and properly tiled so that it looks presentable and can be easily cleaned. 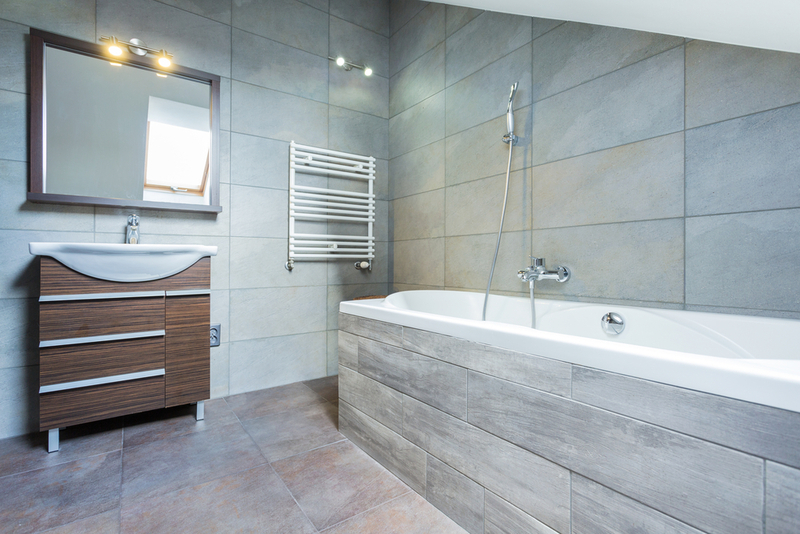 Proper tiling and well-designed tiles is the key to a well-managed bathroom. Our tiles will add elegance and style to your bathroom. Perspective Tiling specialise in wall and floor tiling, giving our clients the satisfaction they need. We are dedicated to give only the best for our clients. We offer a wide variety of tiling services depending on your needs. We install tiles for aesthetic reasons, but our tiles also offer durability, practicality and low maintenance. At Perspective Tiling, we ensure that your bathroom is at its best condition before installing tiles. A good foundation is crucial. We follow a methodical process when installing tiles so you can enjoy your tiles for many years to come. We also use the finest tile adhesive as well as using the latest technology, tools and equipment on the market today. We make sure that our clients are satisfied with the work we do thus making us the best choice for tiling services in Adelaide. We assure our clients that our products and services are of the highest quality. We are dedicated to give only the best to our valued clients. We listen carefully to the client and coordinate respectively to guarantee satisfaction. Why We are the Best Bathroom Tilers Adelaide has to offer! We only use the best methods to deliver the best results that will satisfy your needs. We have delivered superior quality tiling services for 15 years. We ensure that our works will satisfy our clients and that all work done is delivered in a timely fashion. We give our clients the freedom to choose and to select the designs and bathroom tiles that will satisfy their needs – We pride ourselves in our customer service & tailored solutions. Our team of bathroom tilers in Adelaide are all qualified and very knowledgable. Perspective tiling offer a complete bathroom bathroom renovation service. We will organise the whole process from start to finish! If you have any enquiries regarding any of our tiling services, you can contact Dale Dunnicliff of Perspective Tiling Services on 0425 055 026. Please feel free to take a look around the site at our tiling work in Adelaide. Also tiling Southern Suburbs of Adelaide South Australia. When it comes to bathroom renovations Perspective Tiling will organise the whole process, from the quoting stage through to the end product. Perspective tiling are the best floor tilers Adelaide has to offer, we have taken on large-scale jobs of over 300 plus square metres!! Making sure that every tile is level with the correct tile layout. Although Perspective Tiling are based in Seaford we are more than happy to travel from Adelaide South, Glenelg, through to Adelaide Hills and surrounding suburbs. Providing a professional, competitive, friendly tiling service 7 days a week! Here is an example of one of our most detailed tiling jobs in Adelaide. Each individual tessellated tile was laid to give a high end finish. We treat every job as if it is our own and won’t rest until the client is completely satisfied with the overall finish. All of our tile adhesive we use come with a 15 year guarantee! So you can rest assured knowing that your tiles will last. For further information and a free quote contact Perspective Tiling TODAY! Qualified and licensed tilers in Adelaide.